This volume is a remarkable historical survey of photographic images created without a camera. 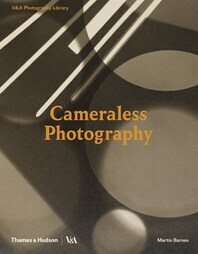 Cameraless Photography presents a concise historical overview of photographic images created independently of a camera. It surveys the corresponding techniques—including photograms, chemigrams, luminograms, dye destruction prints, and more—used to create those images. The book features one hundred key images from more than one hundred and seventy years of history, ranging from the earliest experiments in chemical photography, such as those by Anna Atkins in the nineteenth century, through seminal avant-garde photograms of modernists such as Man Ray in the 1920s and 1930s to the latest digital processes by Susan Derges. Visually compelling, Cameraless Photography is an outstanding introduction to the significant cameraless processes used throughout the history of photography and the cameraless work of some of photography’s greatest names.